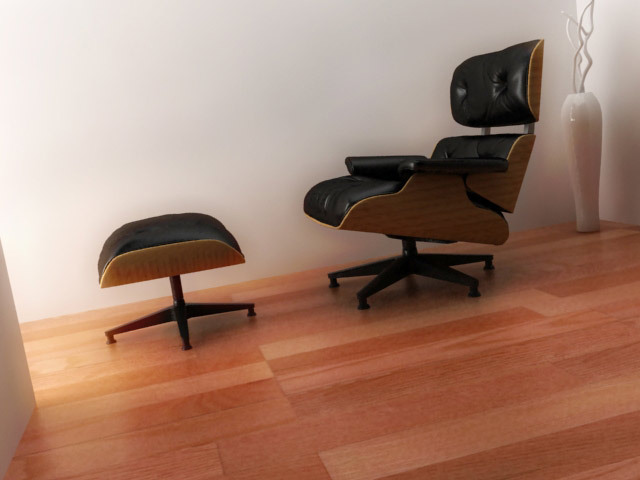 Charles and ray Eames made several of the most known furniture design . We see their designs EVERYWHERE from film to commercials and from hotels to private luxury houses. Little does one think that they were all made by the same couple. This famous Lounge & ottoman was a thing I always wanted to model. I was always a bit awe from how to do the wrinkles the right way. so here it is. Powered by a modified Hemingway flavored WordPress in 0.216 seconds. If you want to BrowseHappy please consider downloading Firefox.